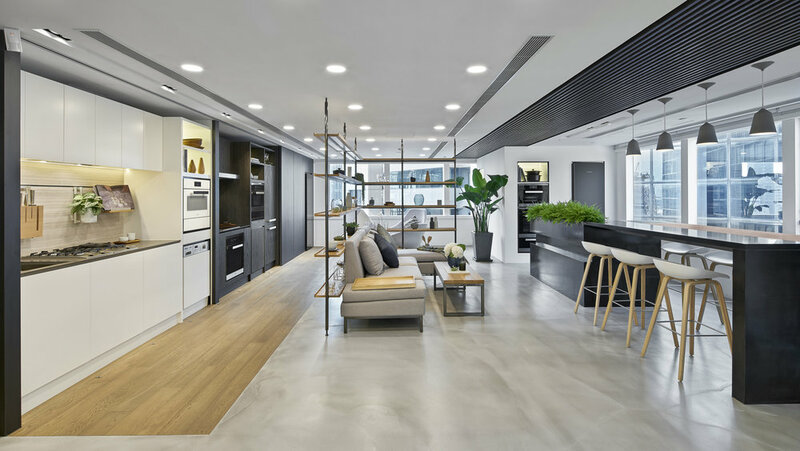 To showcase their latest kitchen and laundry appliances, Miele contracted Studio Cassells to design 'The Private Lounge' - a luxurious showroom penthouse located in Hysan Avenue, Causeway Bay. Studio Cassells designed the space to allow natural light to flow throughout the floor plate, creating an energising space to house two built-in kitchens, a laundry care area and a large, communal kitchen island; the perfect place to host live cooking demonstrations and luxury events. 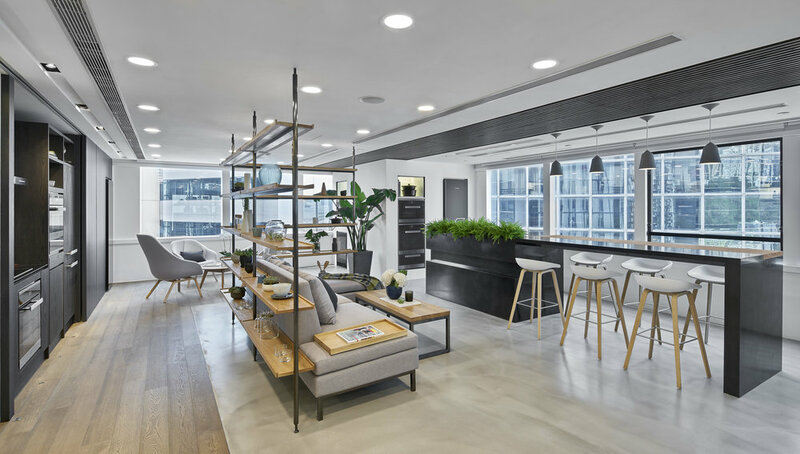 Two coffee/ meeting areas create a space for the customer to relax in while browsing at their own leisure - and develop a relationship with the product and the brand.